In the old days of professional baseball, players fistfighting on and off the field was not uncommon. Players would scream at each other. Some would tease. Many others were just downright mean. One player in particular earned a nickname that perfectly described his slick dugout demeanor. The handle followed him throughout his days in the major leagues and all the way to baseball cards printed after his death. In 1978, when asked who coined his nickname, “Jockey,” Bibb Falk replied with a sharp southern drawl, “I don’t know where the hell it came from.”1 Today, many baseball historians incorrectly dub Falk as an overaggressive player who screamed at and “rode” his opponents, as a jockey would ride a horse. His manipulative skills were strongest during batting practice before games or when opposing players walked past Falk’s dugout perch. He had mastered a personal technique to take the mental edge off his rivals by questioning them about false rumors that had been started by other players. The tactic forced his competitors to focus their attention on Falk and his position as an innocent “middle-man” that stood between them and another player who shared a rumor with Falk. It is up to the reader to decide which method of “jockeying” is cruder. Falk explained his moniker in a 1978 interview: “I wasn’t hollering at nobody during no game. I was just “jockeying” between somebody. It was more kidding than riding. Sometimes we’d be batting at home and the visiting team would have to come by our batting cage to get to the other side of the bench and you’d hear one of the players say, when so-and-so comes by, ask him about this, see? Something happened to him, see? And then he’d come by and get tough and say, what’s this I heard about that and they say, where in the hell you get this?”2 It is worth noting that Falk was giggling during this portion of the interview. Falk learned the game of baseball living close from Riverside Park, the home field of the Austin Senators of the Texas League. Bibb visited the field frequently and eventually earned employment at the park as the Senator’s batboy while working between innings selling bags of peanuts to fans in the bleachers. He honed his baseball talents at the Stephen F. Austin High School. William “Billy” Disch, head baseball coach from the University of Texas, reviewed Bibb’s abilities during one of his high school performances. The coach quickly approached the high school senior and invited him to attend UT. Falk accepted Disch’s offer, but before he could enroll at UT he had to join up with Uncle Sam. In April 1917, the United States joined the war against Germany and Bibb enlisted with the U.S. Naval Reserves. After the war ended in 1918, Bibb returned to Austin and followed the tutelage of Coach Disch, who taught young Falk his baseball. The Black Sox trial ended in July 1921, by which time “the southpaw from the South” had already been summoned to the south side of Chicago. Falk stepped over the minors and headed directly to the majors. “I joined them (the White Sox) in Philadelphia on the road and I finished the road trip with them. Stayed with them. I never did play much,”5 Bibb recalled. “I did pinch hit there once or twice after a game they’d lost. Something like that. Till the last week of the  season when those [eight] fellas got kicked out [by Landis], then I played every day.”6 Bibb’s first major league appearance wearing a White Sox uniform was July 17, 1920, when he was called to pinch-hit against the New York Yankees at the Polo Grounds. The outfield garden of Chicago’s Comiskey Park had been previously occupied for five years (1915–20) by the legendary “Shoeless” Joe Jackson. 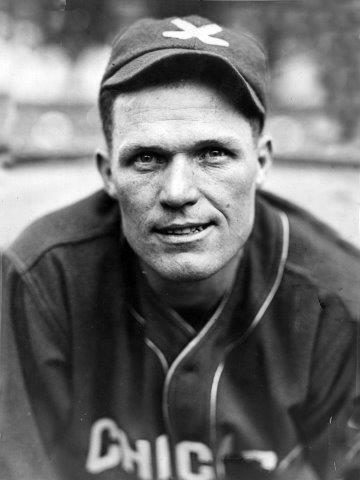 Bibb would carry his nickname “jockey” while toting the title, “The Man That Replaced Shoeless Joe” for the rest of his life. Falk explained his feelings of Chicago’s notorious “eight men” since he shared their dugout space moments before they were dismissed. In 1921, Falk, just 22, began to make headlines for the White Sox. He excelled in some areas, collecting 31 doubles and 82 RBIs. Falk’s progress was impressive despite ranking fourth in the American League with 69 strikeouts. Bibb’s bat continued to produce in 1922. His bat also got him into some trouble on June 7, however, after he threw his stick while arguing with umpire Frank Wilson’s decisions of pitched balls and strikes. When the lumber went sailing, Wilson christened Bibb with his first big league ejection. Falk ended the season hitting .298 with 27 doubles, 12 homers, and 79 RBIs. During the World Series between the Yankees and Giants, Bibb Falk and a handful of other big-league players were selected to participate in an off-season barnstorming schedule in Japan. AL President Ban Johnson and Commissioner Judge Kenesaw Landis authorized the tour, which was supervised by AL umpire George Moriarty and organized by former major leaguer and Japanese baseball coach Herbert Hunter. After arriving in Japan, Hunter’s “All-American” team played against Japanese college teams, industrial teams and amateur teams. Falk and his teammates stopped in Seoul, Korea to play a bit more before parking in Peking, China to spend a day sightseeing. Following the ’23 season, the 56-year-old Gleason retired. Comiskey quickly appointed Frank Chance, a former Cubs great who heretofore had managed the Boston Red Sox, to change the color of his hose and run his Chicago club. Chance accepted Comiskey’s offer and hired longtime Chicago Cubs companion Johnny Evers as a coach. When spring training began, Frank was not there due to illness. Rumors of Chance battling sinus infections, gall stones, and bronchitis covered the newspapers in spring ’24. Chance’s forecast had been confirmed by the end of the 1924 season. Bibb collected 185 hits, including 37 doubles, and 99 RBIs. The Texan’s .352 mark ranked third in the American League. Falk fell short only to Cleveland’s Charlie Jamieson (.359) and the Yankees’ Babe Ruth (.378). The White Sox sank into last place that season, however, regardless of Bibb’s impressive performance. In February 1925, Bibb’s younger brother, Chester “Chet” Falk, signed on to pitch for the St. Louis Browns. Following in his big brother’s footsteps, Chet worked under the management of “Uncle Billy” Disch at the University of Texas before the Missouri scouts came calling. Bibb’s lumber made big crashes during the 1925 season under new manager Eddie Collins. Comiskey raised Falk’s $4,800 salary to $7,500 since the outfielder’s bat brought extra spins to the White Sox turnstiles. So, with a heavy bat and heavier pockets, Falk appeared in more games than any other player on the roster. As he had in 1924, he drove in 99 runs. Lyons was recalling an incident that occurred at Comiskey Park on May 29, 1925, when the White Sox welcomed a visit from Ty Cobb and his ferocious Detroit Tigers. Falk stepped to the plate to face Detroit right-hander Sylvester “Syl” Johnson. Bibb slammed a pitch directly at Syl’s head, smashing several bones in the pitcher’s face and causing a broken jaw that required a lengthy stay at Chicago’s Mercy Hospital. The Falk-induced injury branded Johnson a jinx, forcing the pitcher off the Detroit bench and eventually off American League scorecards. But exactly one decade later, on May 29, 1935, Syl, now pitching for the Philadelphia Phillies, became the last pitcher to strike out the illustrious Sultan of Swat, George Herman “Babe” Ruth, in a major league game. Bibb put in a hard season’s work in 1926 as he appeared in every White Sox game on the schedule. Eddie Collins remained at the helm and witnessed Bibb’s thunderous swings that produced 108 RBIs, 43 doubles, and a .345 batting average, seventh best in the AL. He also led the league in fielding average among outfielders at .992. Falk’s performance led the AL to place him twelfth place in the League Award voting. Comiskey’s notoriously tight purse strings affected Falk and caused a rift that worsened in 1927. That year, the White Sox organization replaced Eddie Collins with the club’s reliable catcher, Ray Schalk. Falk, dissatisfied with his pay rate despite a 33 percent raise, turned in numbers poorer than some of his earlier performances. In 1928, skipper Schalk was replaced by Russell (aka “Lena,” or “Slats”) Blackburne. Falk started the season with vigor until another case of gingivitis forced him out in late June. Altogether he batted .290 in 98 games with only 18 doubles and 37 RBIs. Following the campaign, Comiskey attempted to cut $2,500 from Falk’s yearly income before dealing him to the Cleveland Indians in exchange for backstop Martin “Chick” Autry. “They (Chicago) wired me and told me I’d been traded to Cleveland,” Falk explained. When he arrived to play in Ohio, Falk was pleased to work with his old White Sox teammate and friend, Roger Peckinpaugh, the manager of the Indians. “Peck” put Falk to work at Cleveland’s League Park for the next three years. Falk collected 157 RBIs for the Indians from 1929–31, but in the last two years was only a part-time player. Peck, perhaps through Indians GM Billy Evans, extended an invitation for Falk to become a manager for Toledo in 1932. The Mud Hens, Cleveland’s top minor league club, needed a pilot. In 1933, Peck called Falk back to Cleveland to work as a coach. Peckinpaugh, however, was let go in June after the Indians slipped from first place to fifth. Cleveland owner Alva Bradley appointed Walter “The Big Train” Johnson to replace Peck. Bibb, as interim manager, learned that Johnson was bringing his own coach to Cleveland. 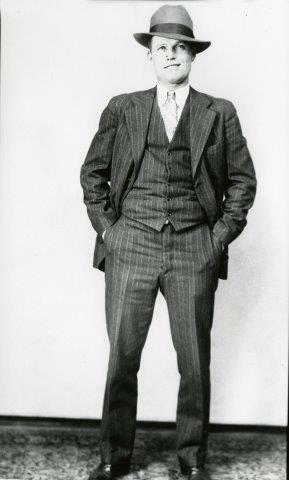 Later that summer, Bibb contacted his Chicago comrade, Eddie Collins. Eddie had been hired as Vice President of the Boston Red Sox and had a position ready for Falk. Collins had him scout for the rest of the season then assume the role of a major league coach for 1934. After one season coaching in Boston, Falk returned to his hometown of Austin, Texas. He worked five years (1935–40) as a scout for the Red Sox while enjoying the off-season at his home address. Falk bid a permanent farewell to the majors in 1940 after his long-time friend and mentor, Billy Disch, became ill in 1939 and requested Bibb’s assistance. Disch had never left his post as UT’s head baseball coach. In 1940, Falk and Disch worked together at Texas. Disch worked as an assistant to Bibb, who assumed the role of head baseball coach. After successfully piloting the Longhorns baseball team for three years, Falk stepped away from the field and rendered his services to the U.S. Air Force during World War II. Bibb earned the rank of sergeant shortly after his enlistment at the Randolph Air Force Base in Texas. In 1944, Falk worked on the base as coach for the Randolph Ramblers baseball team. The Ramblers were one of the many teams recognized in the Military Service League. Two of Bibb’s players, pitcher Dave “Boo” Ferriss and catcher Tex Aulds, eventually became property of the Red Sox, Ferriss before his recruitment with the U.S. Air Force and Aulds later. Falk’s players described him with adjectives like “a crusty wildcat with a fiery tongue” or as “an ornery, intimidating man.” One player explained that his Texan coach could curse consecutively for one hour without ever repeating himself. Bibb’s tough and gritty exterior transformed undisciplined college athletes into baseball machines as each of his pupils discovered their strongest abilities on the field. During his 27 years at the helm of the Texas Longhorns, Falk and his men won 470 games, 20 victories in the NCAA (National Collegiate Athletic Association) Southwestern Conference, and two College World Series Championships (1949 and 1950). In 1953, Bibb and his Longhorns bid a final farewell to their coach and mentor, “Uncle” Billy Disch, who passed away, leaving a legacy of baseball memories and dedication to Austin’s UT. In 1962, Bibb was elected to the Longhorn Men's Hall of Honor and the Helms Athletic Foundation College Hall of Fame in 1966. Awards continued to follow Falk after he left UT. In 1968 the ABCA (American Baseball Coaches Association) added him to their Hall of Fame. Twenty years later Bibb was inducted to the Texas Baseball Hall of Fame. In early 1975, the University of Texas completed construction of the $2.5 million Disch-Falk Field, honoring the two men who served Longhorns baseball for a combined 54 years. Falk, who never married, spent his retirement years living in Austin with his younger sister, Elsie, until her death in 1980. Still tough as nails, Bibb remained healthy until 1988 when he began having heart difficulties. On June 8, 1989, Bibb Augustus Falk passed away at Brackenridge Hospital in Austin at age 90. He was the last surviving member of the 1920 Chicago White Sox. Years after his death, Falk was elected to the 2007 College Baseball Hall of Fame. Today, White Sox fans can view a slice of history on a wall near the concession stand corridors at U.S. Cellular Field in Chicago. A life-size black and white photograph of Bibb Falk and his heavy bat occupy a section of the wall, along with a listing of his achievements working for Charles Comiskey. MATTHEW M. CLIFFORD, a freelance writer from suburban Chicago, joined SABR in 2011 to help preserve accurate facts of baseball history. Clifford’s background in law enforcement and knowledge of forensic investigative techniques aid him in historical research and data collection. He has contributed to the SABR Biography Project and the 2013 "National Pastime." 1. Dr. Eugene Converse Murdock Audio Interviews. Recorded 1978 in Austin, Texas. Mears-Murdock Exhibit. Cleveland Public Library, Cleveland, Ohio. 2. Dr. Eugene Converse Murdock Audio Interviews. Recorded 1978 in Austin, Texas. Mears-Murdock Exhibit. Cleveland Public Library, Cleveland, Ohio. 3. Dr. Eugene Converse Murdock Audio Interviews. Recorded 1978 in Austin, Texas. Mears-Murdock Exhibit. Cleveland Public Library, Cleveland, Ohio. 7. Dr. Eugene Converse Murdock Audio Interviews. Recorded 1978 in Austin, Texas. Mears-Murdock Exhibit. Cleveland Public Library, Cleveland, Ohio. 9. “Infield Rates High,” The Syracuse (New York) Journal, April 6, 1930, 30. 10. Bill Jenkinson, Baseball’s Ultimate Power: Ranking the All-Time Greatest Distance Home Run, Guilford, Connecticut: Globe Pequot Press, 2010, 285. 11. “Bibb Falk Fulfills Prediction Made By Frank Chance,” The Daily Sentinel of Rome New York, September 20, 1924, 8. 12. Eugene Converse Murdock, Baseball Players and Their Times: Oral Histories of the Game, 1920–1940, Westport, Connecticut: Meckler Publishing, 1991, 235. 13. Dr. Eugene Converse Murdock Audio Interviews. Recorded 1978 in Austin, Texas. Mears-Murdock Exhibit. Cleveland Public Library, Cleveland, Ohio. 14. Dr. Eugene Converse Murdock Audio Interviews. Recorded 1978 in Austin, Texas. Mears-Murdock Exhibit. Cleveland Public Library, Cleveland, Ohio. 15. Jim Raup, “Bibb Falk: A Texas Original.” Elysian Fields Quarterly Baseball Review, Volume 20, Issue #3, St. Paul, Minnesota: Knothole Press, 2003. 16. Bill James, The New Bill James Historical Baseball Abstract, New York: Free Press/Simon & Schuster, 2001, 711.